If you wish to discover your city in a new way or plan to make a team event for your company, organization or network, the take a guided light walk. Throughout the festival there will be guided walks taking you to the light works along the beautiful water front and city of Copenhagen. 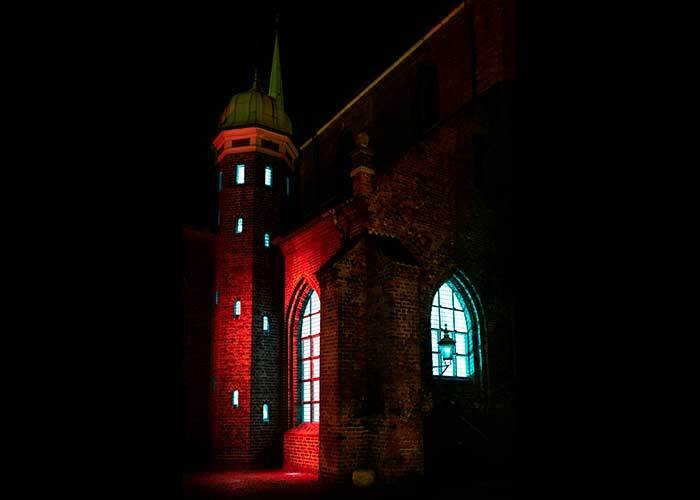 Bring your warm coat, hut and boots and enjoy the lighting works in the fresh winter nights. 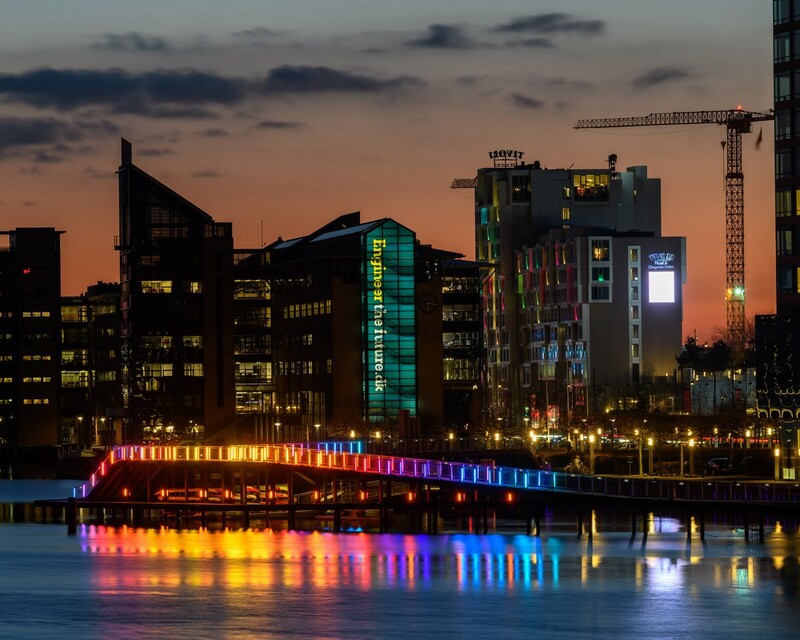 Guided light walk where you’ll experience the special light events for this evening as well as light works and permanent lighting installations along the canals and harbour. Your guide: Jesper Ravn, who knows the ins and outs of Copenhagen will guide you through the city and tell about the light and the dark. Jesper Ravn is an architect and lighting designer with a special interest for darkness, who guides in English / Danish / Swedish. Price: 200 DKR. 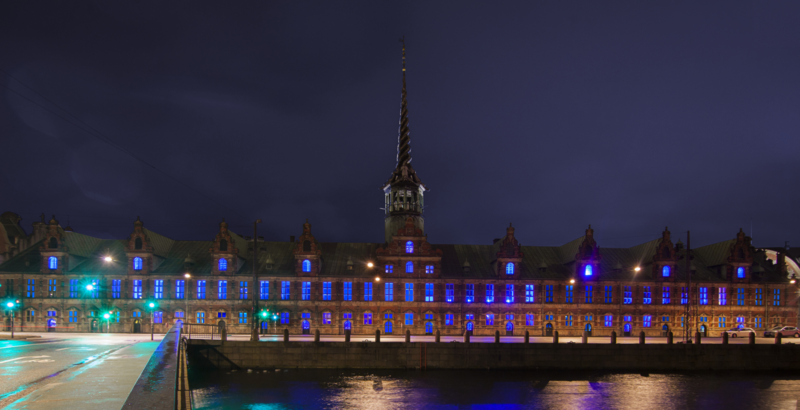 The tour is 1,75 – 2 hours with a 30 minutes extra option to the giant installation Eternal Sundown outside Copenhagen Marriott Hotel, Kalvebod Brygge 5, 1560 København V. Possible to do a stop during the tour. Clarissa Concilio, a Copenhagen-based lighting designer from fra Aalborg University CPH and lighting designer at Rambøll, who guides in English / Italian. Rasmus Bodholdt is a scientist, who has for 15 years explored and guided in Copenhagen and build up the community Copenhagen Insight. Rasmus is guiding in English /Danish. Friday February 1 at 17.00 (ENGLISH/DANISH) – Registration is closed. Guided walk in and special grand opening edition from the big opening program at Slotsholmen to Islands Brygge. On this one time off-tour you’ll experience the special light events for the opening and light works and permanent lighting installations along the canals and harbour. Highlights along the route is Ghost Ship, Chamber of Light, Illumination of Christiansborgs tower, Light Up the Festival with us, Light Garden, You Are Still Here, Bamboo Break, Laser Beam, In Situ, Tivoli, Phosphor, The Orb, Taraxa and Kulturhuset Islands Brygges installations with view to Eternal Sundown. Start time & place: At 17.00 Kayak Bar, Børskaj 12, København K.
Stop time & place: Appr. : 18.30 at Kulturhuset Islands Brygge, Islands Brygge 18, 2300 København S.
Your guide: Rasmus Bodholdt, who has for 15 years explored and guided in Copenhagen and build up the community @Copenhagen Insight. Rasmus is guiding in English or Danish. Guided walk along the light route to see the beautiful light works of the festival along the canal and harbor front as well as in the city. Along the way the guides will tell about the festivals light installations as well the permanent architectural lighting. Highlights along the route is Sickee no 2, Dreams, view to Eternal Sundown, Go Boats installations, The Orb, view to Phosphor, Pyramid Construction @BLOX, Laser Beam, In Situ, Light on Thorvaldsen, Windows of Light and Ondfanget by Nikolaj, Bamboo Break by Stromma, Illumination of Christiansborgs tower, Chamber of Light, You Are Still Here, Light Garden, The Ice is Melting (view to EKKO). Option: Chromatic Fields. Start time & place: At 18.00 Kulturhuset Islands Brygge, Islands Brygge 18, 2300 København S.
Stop time & place: Appr. : 19.45 at Nordatlantens Brygge, Strandgade. Optional: Discover Chromatic Fields close by at Louis Poulsens new main office at Kuglegården, Royal Danish Theater and view to EKKO. Guided walk along the light route to see the beautiful light works of the festival in the city, and continuing along the canal and harbor front. Along the way the guide will tell about the festivals light installations as well the permanent architectural lighting. We start at Anita Jørgensens light art at Copenhagen Central Station, Elementa, Tivoli Corner, Tivoli, STORM20 where they have vernissage on their Dark Matters work this night, In Situ, Laser Beam, (Pyramid Construction @BLOX), Bamboo Break by Stromma, Windows of Light and Ondfanget by Nikolaj, (Lighten Up), Illumination of Christiansborgs tower, Chamber of Light, You Are Still Here, Light Garden. Start time & place: At 18.00 Copenhagen Central Station, Under Uret. Kom på en guidet tur til fods, og se de smukke lyskunstværker langs kanalen, havnen og i indre by. På vejen vil guiden fortælle om lysfestivalen værker og om de permante lysdesigns. Vi starter ved Anita Jørgensens lysværk på Københavns Hovedbanegård og ser derefter Elementa, Lyssafari i Glyptotekets Have, Tivoli Hjørnet, STORM20, In Situ, Laser Beam, hvis muligt Pyramid Construction @BLOX, Bamboo Break, Windows of Light og Ondfanget ved Nikolaj, Lys på Christiansborgs tårn, Danish Chamber of Light, You Are Still Here og En Lyshave. Mulig option: Fernisering i Nikolaj Kunsthal. Starttid & sted: Kl. 18.00 Copenhagen Central Station, Under Uret. Sluttid & sted: Ca. kl. 19.30 ved Kayak Bar. Mulig option: Fernisering i Nikolaj Kunsthal. Din guide: Anne Fink er performance designer med speciale og særlig interesse for teater, lyskunst, performance og var kommunikationskonsulent for Copenhagen Light Festival i 2018. Anne guider på dansk. Kom på en guidet tur til fods, og se de smukke lyskunstværker langs kanalen, havnen og i indre by. På vejen vil guiden fortælle om lysfestivalen værker og om de permante lysdesigns. Highlights på turen er Sickee no. 2, Dreams, view to Eternal Sundown, Go Boats installations, The Orb, Phosphor, Pyramid Construction @BLOX, Laser Beam, In Situ, (Danish Industry, Lighten Up), Lys på Thorvaldsen (fernisering), Windows of Light og Ondfanget by Nikolaj, Bamboo Break by Stromma, Illumination of Christiansborgs tower, Chamber of Light, You Are Still Here, Light Garden. Mulig option: Fernisering på Hesselholdt & Meilvangs udstilling på Thorvaldsens Museum. Starttid & sted : Kl. 18.00 Kulturhuset Islands Brygge, Islands Brygge 18, 2300 København S.
Sluttid & sted: Ca. kl. 19.30 på Kayak Bar, Børskaj 12. Option: Fernisering på Hesselholdt & Meilvangs udstilling på Thorvaldsens Museum. Guided walk along the light route to see the beautiful light works of the festival along the canal and harbor front as well as in the city. Along the way the guides will tell about the festivals light installations as well the permanent architectural lighting. Highlights along the route is Chamber of Light, Illumination of Christiansborgs tower, Light Garden, You Are Still Here, Bamboo Break, Laser Beam, Pyramid by BLOX, In Situ, Tivoli, Phosphor, The Orb, Go Boats and Kulturhuset Islands Brygges installations with view to Mads Vegas Eternal Sundown. 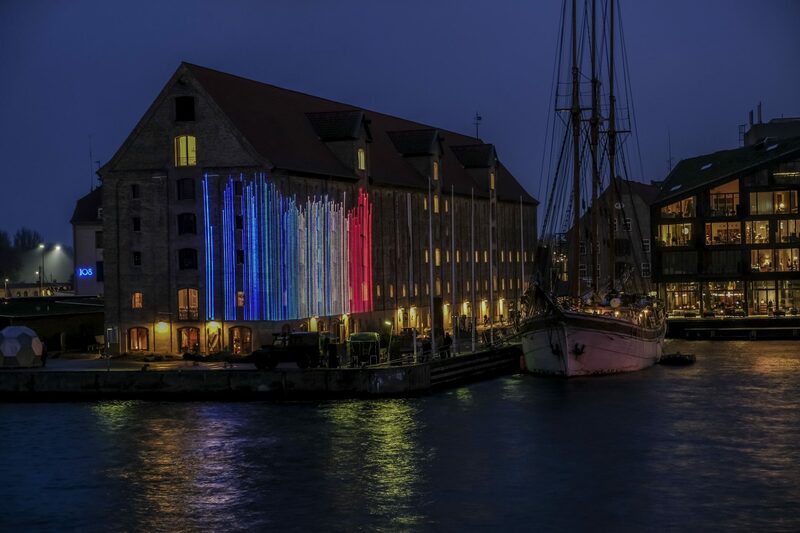 Start time & place: At 18.00 Kayak Bar, Børskaj 12, København K.
Guided walk along the light route to see the beautiful light works of the festival along the canal and harbor front as well as in the city. Along the way the guide will tell about the festivals light installations as well the permanent architectural lighting. Highlights along the route is Sickee no. 2, Dreams, (view to Eternal Sundown), the installations by GoBoat, The Orb, Phosphor, Pyramid Construction @BLOX, Laser Beam, (if possible In Situ), Windows of Light and Ondfanget by Nikolaj, Bamboo Break by Stromma, Illumination of Christiansborgs tower, Chamber of Light, You Are Still Here, Light Garden, The Ice is Melting (with possible view to EKKO). Optional Chromatic Fields. Stop time & place: Appr. : 19.45 at Nordatlantens Brygge, Strandgade. Optional: Discover Chromatic Fields close by at Louis Poulsens new main office at Kuglegården plus Royal Danish Theatre. Your guide: Jesper Ravn, who knows the ins and outs of Copenhagen will guide you through the city and tell about the light and the dark. Jesper Ravn is an architect and lighting designer with a special interest for darkness, who guides in English. Som et særligt vinterferietilbud tilbyder Copenhagen Light Festival en tur for hele familien, så forældre og børn sammen kan indtage byen og opleve de smukke lyskunstværker langs kanalen, havnen og i indre by. Vi har udvalgt de værker der er mest appellerende for børn og turens længde er tilpasset til børn ned på 5 år. På vejen vil guiden fortælle om lysfestivalens værker og om de permanente lysdesigninstallationer. Turen starter ved værket En Lyshave, hvor man gerne må skubbe blidt til lysspandene. Herfra går vi en tur langs kanalen og kigger på det blå lys i Børsen, You Are Still Here, Bamboo Break, den grønne laser tværs over himlen, lyset på Folketingets tårn, Pyramiden ved BLOX. Vi slutter turen med at gå hen til Orben under Langebro, der har et smukt skyggevirkninger på broens underside. Herfra er udsigt til Taraxa og Evig Solnedgang. Hvis ikke vi har leget tiden væk, er der mulighed for med at dem med rigtigt stærke ben kan fortsætte til Evig Solnedgang, som man kan gå ind i og igennem. Starttid & sted: Kl. 18.00: Knasten ved Havnegade 21, 1058 Copenhagen K ved værket En Lyshave. Din guide: Jesper Ravn er lysdesigner og ekspert indenfor lys og mørke og kender hvert hjørne af København. Har guidede også for Copenhagen Light Festival i 2018. Turen her er på dansk, men Jesper guider også på engelsk og svensk. Turen koster: Kr. 200 for et barn ifølge voksen. (OBS reduceret pris pga. reduceret længde). Turen varer 1 – 1,5 time. Guided walk along the light route to see the beautiful light works of the festival in the city, and continuing along the canal and harbor front. Along the way the guide will tell about the festivals light installations as well the permanent architectural lighting. We start in the lobby of Copenhagen Marriott Hotel and go outside to walk through and explore Eternal Sundown at close hand. Other highlights on the tour are Phosphor at Danhostel, with view to Taxara at the opposite side of the inner harbour, (Danish Industry), STORM20, In Situ, Laser Beam, Pyramid Construction @BLOX, Bamboo Break by Stromma, Windows of Light, the special light event Light on Nikolaj Art Hall. Next to Nikolaj Conceived Maliciously (Ondfanget) and Lighten Up and from there Illumination of Christiansborgs tower, Chamber of Light, You Are Still Here and Light Garden. Optional prolonging: If you wish the guide will walk you through and experience the colour play at the giant inwork Chromatic Fields at Louis Poulsens new main office at Kuglegården. On the way you’ll pass Nyhavn, Inderhavnsbroen, Royal Playhouse with view to the major installation EKKO. Start time & place: At 18.00 in the lobby of Copenhagen Marriott Hotel, Kalvebod Brygge 5, 1560 København V.
Stop time & place: Appr. : 19.45 at Knasten ved Havnegade 21, 1058 Copenhagen K by A Light Garden. Price: 200 DKR The tour is 1,75 – 2 hours with a 30 minutes extra option to the giant installation Chromatic Fields at Kuglegården. Possible to do a stop during the tour. Lørdag den 16. februar kl. 18.00 (FAMILIETUR PÅ DANSK) – Turen er aflyst. Som et særligt vinterferietilbud tilbyder Copenhagen Light Festival en tur for hele familien, så forældre og børn sammen kan indtage byen og opleve de smukke lyskunstværker langs kanalen, havnen og i indre by. Vi har udvalgt de værker der er mest appellerende for børn og turens længde er tilpasset til børn ned på 5 år. Turen starter ved studenterværket Pyramiden ved BLOX. 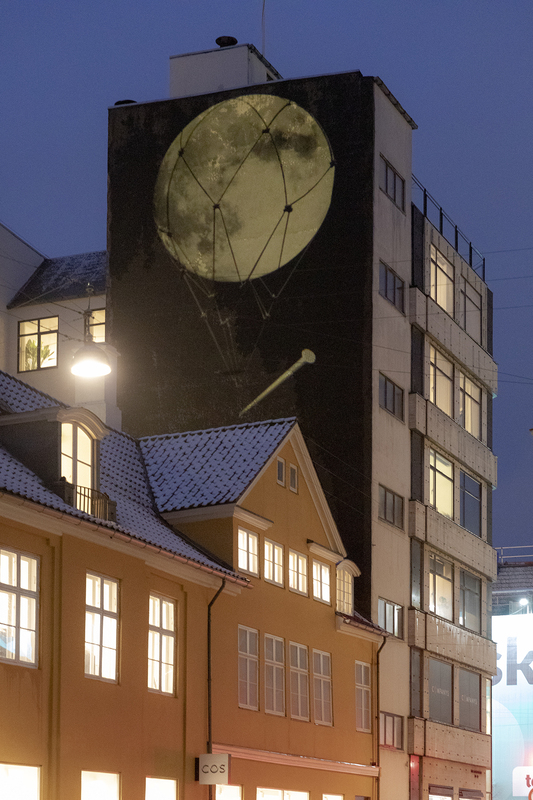 Herfra går vi en tur langs kanalen og den grønne laser tværs over himlen, lyset på Folketingets tårn, bambuslamperne ved Strommas anløbsbro, det blå lys i Børsen, You Are Still Here og En Lyshave, hvor man gerne må skubbe blidt til lysspandene. Vi slutter turen med at gå hen til det store lys og lydværk Isen smelter på Polerne på Nordatlantens Brygge. For dem der har mere eventyr i sig, slutter vi turen i det storstilede værk Chromatic Fields, hvor man løbe rundt “inde i” installationen og se hinanden i sjove farver. Turen koster: Kr. 200 for et barn ifølge voksen. (OBS reduceret pris pga. reduceret længde).Turen varer 1 – 1,5 time. Søndag 17. februar at 19.00 (DANSK) – Turen er aflyst. Kom på en guidet tur til fods og se de smukke lyskunstværker langs kanalen, havnen og i indre by. På vejen vil guiden fortælle om lysfestivalens værker og om de permante lysdesigns. Turen starter på Bølgen ud for Hotel Marriott Copenhagen ved den evige solnedgang, som vi går sammen igennem og nyder det helt tæt på. Herfra går turen til Danhostel med værket Phosphor (udsigt til Taraxa over havnebassinet). Turens hovedevent er Ghost Ship med elguitarist Lars Top-Galia (kendt fra Sort Sol), der sejler fra BLOX badet i lys kl. 20.00. ved BLOX kan også nydes den stor lyspyramide. Herfra planlægger guiden den bedste rute forbi In Situ, STORM20, (Tivoli udefra), Dansk Industri, Strøget, Den grønne laser stråle, Ondfanget og Windows of Light ved Nikolaj Kunsthal, lys på Folketingets tårn, Bamboo Break, Chamber of Light, En Lyshave og You Are Still Here. 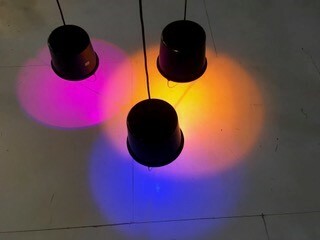 Som et flot punktum, for de der ønsker det, slutter Anne turen af med at gå helt tæt på den store lysinstallation Chromatic Fields ved Kuglegården for enden af Inderhavnsbroen. Start time & place: Kl. 19.15 ved Eternal Sundown udenfor Copenhagen Marriott Hotel, Kalvebod Brygge 5, 1560 København V.
Stop time & place: Ca kl. 21.00 ved Knasten ved Havnegade 21, 1058 Copenhagen K ved værket En Lyshave. Turen varer 1,5 – 2 timer. Option til det store værk Chromatic Fields ved Kuglegården, Kuglegårdsvej 19-23, 1434 København K . 1 pitstop kan tages undervejs. Kom på en guidet tur til fods, og se de smukke lyskunstværker langs kanalen, havnen og i indre by. På vejen vil guiden fortælle om lysfestivalens værker og om de permante lysdesigns. Highlights på turen er blandt andet OndFanget, Windows of Light, Bamboo Break, Lys på Folketingets tårn, Danish Chamber of Light, En Lyshave, You Are Still here, The Orb, Taraxa og Go Boats værker med udsigt til Eternal Sundown samt Phosphor og STORM20. Starttid & sted: Kl. 19.00 Nikolaj Kunsthal, Nikolaj Plads 10. Sluttid & sted: Ca. kl. 20.45 på hjørnet af STORM20, Stormgade 20. Turen varer 1,5 – 2 timer. 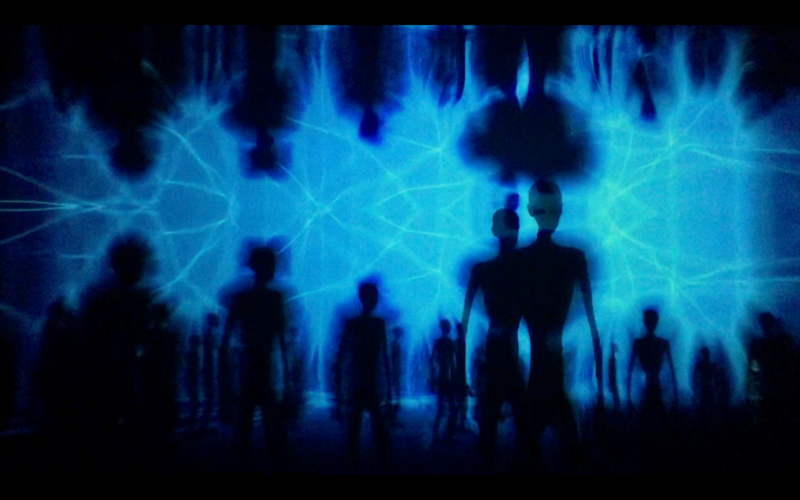 Highlights Bølgen on Kalvebod brygge at the giant Eternal Sundown, that you can walk through. Highlights along the route is LOOP, Dreams, view to Eternal Sundown, Taraxa, The Orb, Danhostel, Pyramid Construction with view to Ghost Ship, (possibly In Situ, STORM20), Green LaserBeam, Ondfanget, Windows of Light, Illumination of Christiansborgs tower, Bamboo Break, Chamber of Light, Light Garden, You Are Still Here. Optional continuing to the giant light installation Chromatic Fields at Kuglegården. Start time & place: At 19.15 Kulturhuset Islands Brygge, Islands Brygge 18, 2300 Copenhagen S.